Even though spring has officially sprung, for most of the country winter is still in the air! 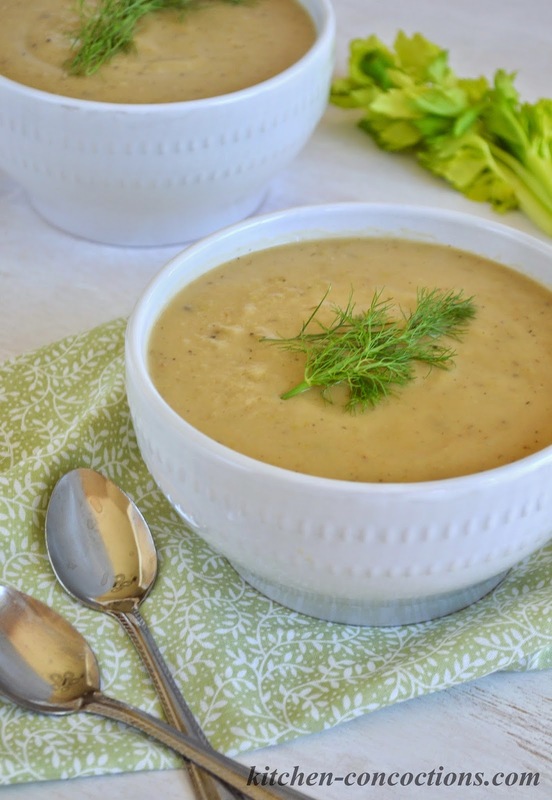 This Roasted Celery Soup is the perfect soup to transition from winter into spring or on a rainy March afternoon! I hate wasting food. Like it literally makes my stomach churn if I have to throw away food. I guess it comes from growing up on a tight budget, with a large family and having just enough; and knowing that many others have to get by with very little or not at all and being taught to be grateful for what I have. Or maybe it comes from the fact that I have been blessed with the knowledge of what good food can do for my body and the appreciation of the hard work it takes for food to get from the farm or ranch to the hands that prepare it. Thus I cannot stand letting anything go to waste. Unfortunately, being a recipe developer, food blogger and cooking instructor my fridge and pantry often has random ingredients shoved in various drawers and compartments. I realize this is a blessing and an opportunity I am sincerely grateful for, and therefore I do everything in my power not to let anything get wasted. Often this means giving food away or being very creative with leftovers (take these Yellow Squash Dog Biscuits). Today’s recipe was created, when for some reason I had an enormous amount of celery shoved in my produce bin. I honestly don’t know how it happened but it was way more celery than I knew I could consume as ants on a log or with appropriate amounts of ranch dressing. So… I searched high and low for the best recipes using the most amount of celery and this soup was high on the list. Luckily, not only did it call for large amounts of celery it was delicious too (so never fear you celery haters)! It is thick and creamy, yet light, with a lovely caramelized flavor, from carefully roasting all those veggies. 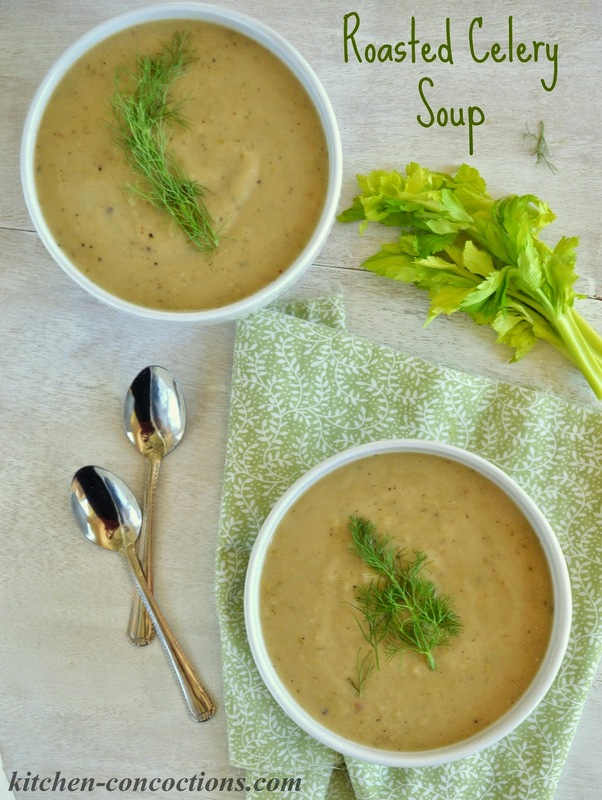 And while this soup is perfect for using up lingering vegetables, and even though soup season is ending fast, for me this was the perfect soup to welcome spring on a dreary and rainy spring day. 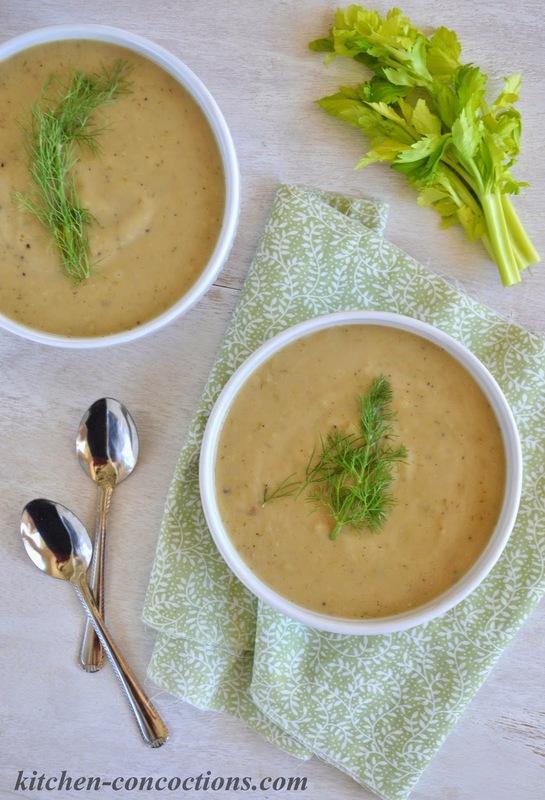 Caramelized vegetables, pureed into a thick and creamy spring soup. Preheat oven to 400 degrees F. Line two baking sheets with foil. Place celery, onion, fennel and garlic in a large bowl. Drizzle vegetable pieces with oil and season with salt and black pepper; toss to coat. Divide oil covered vegetables between foil lined baking sheets and spread into an even layer. Roast in a 400 degree F oven for 30 to 40 minutes, stirring occasionally, until the edges of the vegetables begin to brown. Meanwhile, bring the potatoes and vegetable broth to a boil in a large stock pot. Boil potatoes for 10 to 12 minutes or until potatoes are tender and can be easily pierced with a fork. When the vegetables have finished roasting add them to the potatoes and broth and simmer for 5 minutes. Remove pot from heat and and cool slightly. Working in batches, carefully puree soup in a blender. 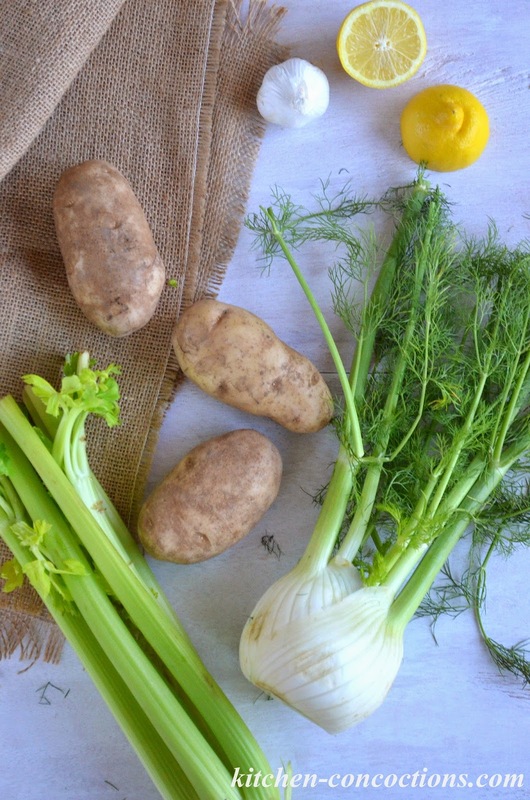 Return soup to the same pot and stir in cream, lemon juice, dried dill weed and celery salt. Bring soup to a simmer and season to taste with additional salt and black pepper, if needed. Serving Suggestions: Since this soup is a nice starter or light lunch, try pairing it with this Strawberry Spinach Salad or as a started with this Pan Seared Salmon with Garlic Butter Sauce. My stepmother loves cooked celery. I can't wait to make this for her. Thanks!